Resist! As in, ”how can you resist this crisp & refreshing Mexican style lager, specifically made for mortals?“ It’s heaven on earth, a place where love comes first. It’s like thunder & lightning, the way it drinks is frightening. Say ”adios“ to beer geeks and ”opa!“ to cerveza Greeks. 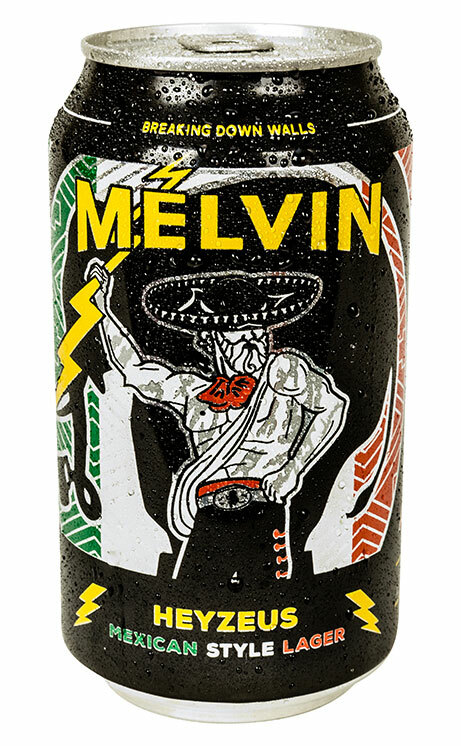 Listen to the sound of Heyzeus’ mariachi Zeppelin cover band, Martillo de los Dioses, they are breaking down walls in craft beer. Since Heyzeus is music to your tastebuds, it made perfect sense to develop a Spotify playlist that would be some music to your ears. 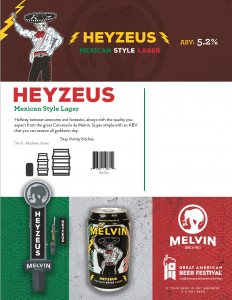 So kick back and sip on Heyzeus, a beer that’s halfway between awesome & fantastic, always with the quality you expect from the great Cervecería de Melvin.